My family up north doesn’t necessarily share or understand my theme park obsessions, but every so often they call upon my Orlando expertise. Recently, my young niece lost her mind over Frozen (much like half of America, it seems) and wants an Elsa doll more than life itself. Unfortunately, it seems Barbie-sized “Sparkle Princess” figures of this frigid sister are scarcer than snowmen in summer, as toy stores throughout the New York and Philadelphia regions are chronically out of stock. So I gallantly volunteered to play the heroic uncle by finding one and bringing it to her during my upcoming visit. Surely it would be simple to find an Elsa doll inside one of Walt Disney World’s infinite gift shops…or so I foolishly thought. In several days of hunting, I’ve been unable to find an Elsa doll for sale inside Walt Disney World, and almost all other merchandise connected to the character is out of stock throughout the resort. (If you want Anna toys, you can take your pick, as there are tons of her products on the shelves.) While I unfortunately can’t tell you where you will find an Elsa doll at Disney World, I can share the wisdom of my fruitless search, which may give you an edge in your own quest, and I wish you better luck than I’ve had so far. New Elsa stock comes in almost daily, but with no set schedule or quantity. It can be delivered at any time, and is placed out for sale as soon as it arrives. And it is typically all taken within hours (or minutes) of arrival. Compounding the challenge, Disney’s inventory computers aren’t updated dynamically during the day, making it impossible to know what is available at any given moment without a lot of legwork. For example, on a recent morning, there were 30 Elsa dolls in inventory at World of Disney, 15 at Mouse Gear, and 9 at Sunset Animation; by early afternoon, all were gone. The gift shop that adjoins the Frozen meet and greet in Epcot’s Norway Pavilion is currently ground zero for Elsa merchandise, and I’m told it is the top priority when new product arrives. For your best chance at snagging an Elsa toy, arrive here at rope drop and make the Puffin’s Roost your first destination, returning throughout the day to check for restocking. Once their meet and greet relocates on April 20 to Magic Kingdom’s Princess Fairytale Hall, you’ll find the lion’s share of Frozen items there. The queue to meet Anna and Elsa becomes hours long within minutes of rope drop. Of course, if you can’t find the Elsa doll you are in search of, and don’t want to wait two or more hours to meet her, you can always console yourself with the Frozen-themed artifact exhibit in the Stave Church Gallery. There’s never a line, and it’s air-conditioned inside! 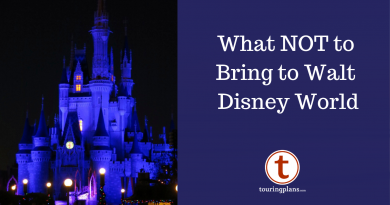 Have you tried finding an Elsa doll at Disney World? Share your results in the comments below! That is funny I was there(Puffins Roost last Saturday and saw 3-4 people in the line for the register with 6+ of these dolls in their arms and did not think much of it. Now it makes sense. Hi! Last week I saw douzens of Elsa’s dolls at the Norway store. It was the only place at all WDW that it was available. i’ve got a girlfriend whose daughter is fit to be tied for one and we can’t find one here, but i’m headed to wdw tomorrow. any input there? I just had a look on the Target website and they appear to have Disney Frozen Sparkle Elsa Doll in stock in several stores in Orlando. 1. Use the merchandise phone line before you head to a park for the day. They can tell you where it’s most likely to be so you don’t waste your time running around. 2. Several different CM’s told us that shipments come Mondays, Wednesdays, and Fridays. They don’t know if Elsa/Olaf merchandise is in the shipment until the truck is unloading. This made sense since on Mon 4/7 we saw a flood of Elsa dolls EVERYWHERE. Think of the Anna doll pictures above, except Elsas. I couldn’t believe how many there were. But by the end of Monday there were just a few on the barren shelves and by Tuesday 0. This was also loosely confirmed when we saw a small influx of Olaf plushes on Wed 4/9. The Puffins roost got the majority of them we were told, as well as Emporium, Mouse Gears and the Princess gift shop right next to the que for Mermaid at Hollywood Studios (which is where we got ours). Those sold out literally in less than an hour. 3. Check back every time you walk past one of the locations. CM’s said every once in a blue moon there are returns and they immediately go back onto the shelf. So you could get lucky! Great tips Steve, thanks so much for sharing!!! Bought an Elsa doll at Epcot Norway last Monday 9:30 am – the shipment had just unloaded. They were sold out within a couple of hours, so head straight there! Lucky for me, since we got to Epcot at 8:30, headed straight to Norway at rope drop and stood in line until 1pm to meet Anna and Elsa…the dolls kept my daughter busy acting out the story the whole time! Sometimes BBB at MK has Elsa dresses – we bought the last one they had on Sun, 4/6…but had to ask very nicely as they won’t tell you they have them. I have had great luck finding other high demand items at the Grand Floridian gift shops. I don’t know if they get more stock than some of the other resorts, or it sells more slowly. I will be back down in about 30 days, so I will check and see what I find then.